Most people don’t know that many states across the country give residents and small businesses the right to choose their electricity provider. Previously, customers only had one provider available to them—their local utility company. But with the deregulation of the electricity market in the 1990’s, the industry opened the door to competition, and a host of independent energy suppliers stepped on the scene. The result of all of this choice? The ability to get a lower rate, improved service or even value-added benefits. A win-win situation for consumers, as well as suppliers. But with of all of the options out there, selecting the right energy provider for your family or small business can be confusing. Here are some tips to help ensure you make an informed decision and gain the best rates, service and value-adds possible. Tip #1: If you live in a state that permits energy competition, know that you have the right to choose, and choosing your electricity provider is a legitimate decision and is sanctioned by your state. You can feel comfortable knowing that suppliers work with your local utility company to ensure that you will not experience any interruption in service. Delivery will continue to be provided by your local utility company, which has the responsibility to ensure the wires and meters are working properly. Tip #2: Understand the difference between a fixed rate and a variable rate. 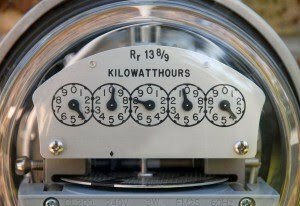 Electricity providers either offer a fixed rate or a variable rate and it is important to consider the pros and cons of each. Variable rates can fluctuate from month-to-month according to the market. The benefits of a variable rate plan are that you won’t be locked into an annual contract and your rate may decrease if the market goes down. It’s very easy to switch to another provider or back to your local utility if you have a variable rate plan. A fixed rate will remain constant over the term of the agreement. Usually you will need to sign a contract with termination fees if you choose a fixed rate, but you’ll know that your rate won’t increase if the market goes up. Tip #3: Look for an electricity provider who offers more than just electricity. Does the supplier offer any value-added services, like rewards programs that enable you to earn cash-back, airline miles, hotel points, or education rewards just for paying your electricity bill? Or do they only offer standard energy supply? One energy provider worth checking out is Energy Plus, the only electricity provider to enroll all of its 150,000 customers in a comprehensive rewards program. Imagine getting rewarded with airline, hotel, rail, retail, college savings and cash-back just for paying your electricity bill! Tip #4: Make sure the provider is both risk free and fee free. You shouldn’t have to commit to a yearly contract or pay added fees. Look for risk-free services that can be cancelled at any time and never include enrollment, monthly service, switching or cancellation fees. Tip #5: How’s the customer service? Who wants to wait on hold for 30 minutes before reaching a live person or deal with frustrating call centers? Unfortunately, this can happen with some utility companies; but there are suppliers out there who actually make it their mission to provide superior customer service. Tip #6: Consider going green. Does the supplier you are considering offer a green option? Now more than ever, helping the environment is a key concern for residents nationwide—and your supplier can help you support your environmental goals with options like 100% wind power.